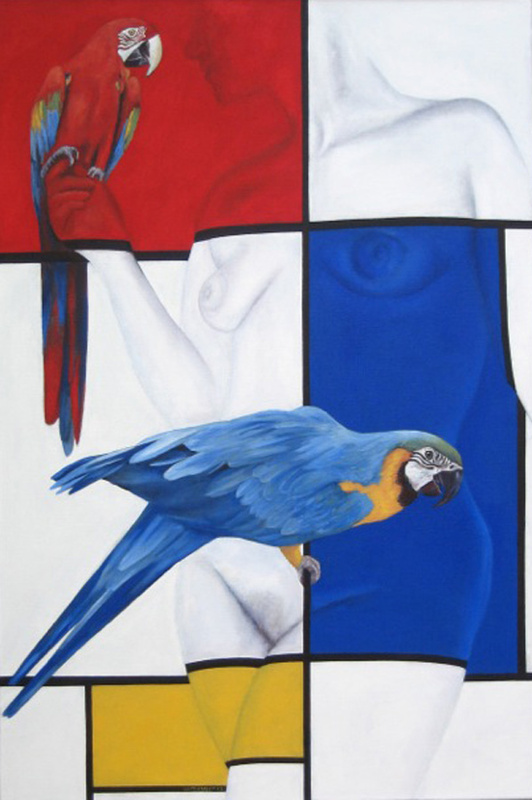 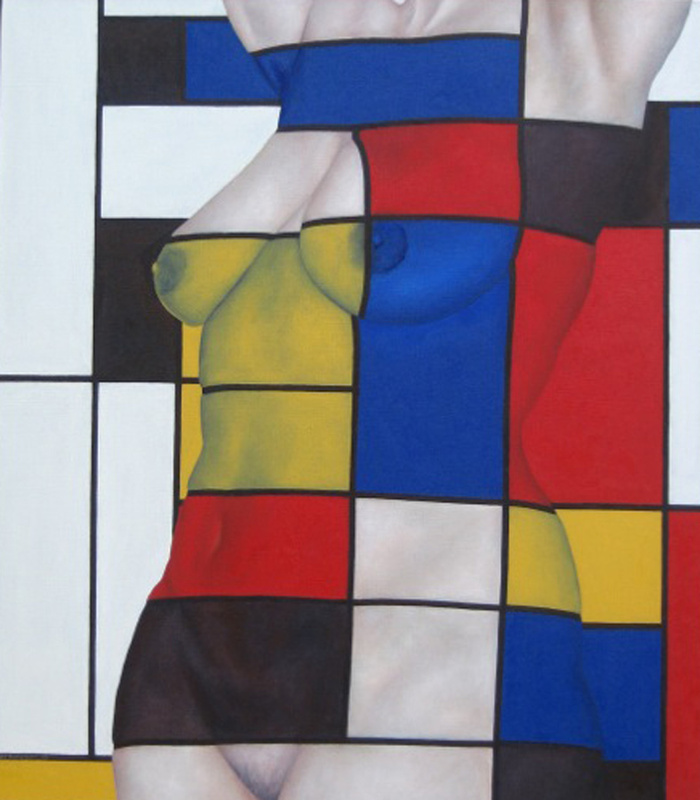 As his famous predecessor Piet Mondrian, Jos Verheugen ( 1961 ) is a painter of Dutch origin. 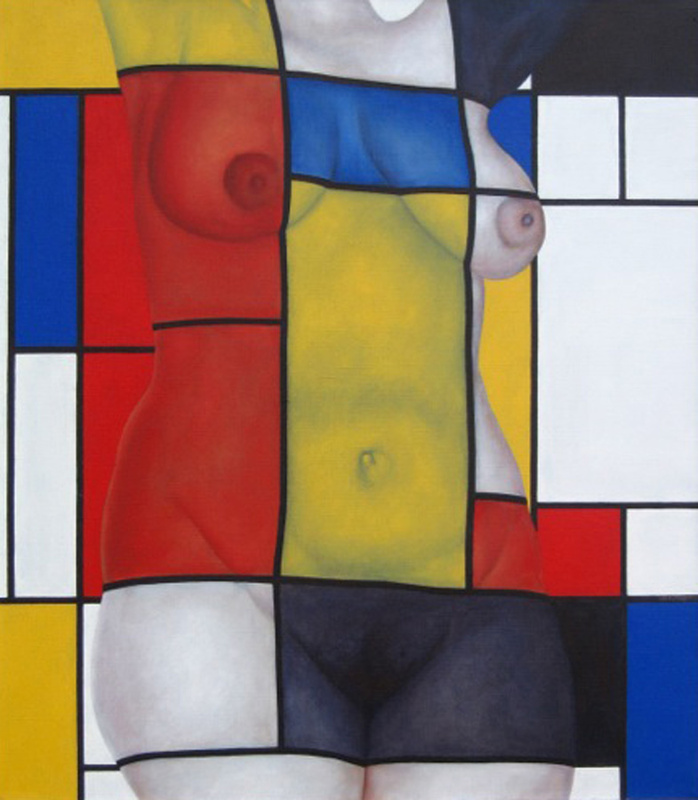 However, contrary to Mondrian his work is resolutely representational. 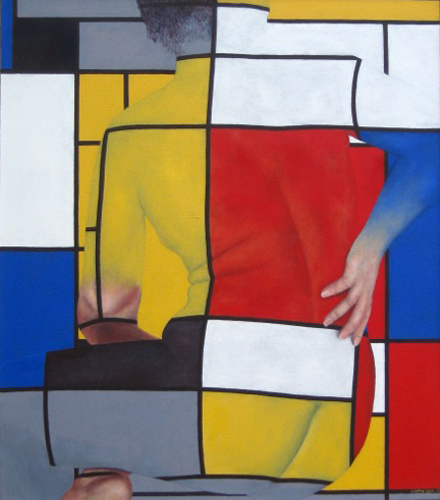 In the series "freely according to Mondrian" he transforms paintings abstracted from his fellow countryman by adding a representational element. On top of an abundance of animals, frogs, bulls, koalas, birds, etcetera, it is especially feminine curves which came to liven up the rectilinear rigor of Mondrian. The women of Verheugen are plump and without complexes; rich while staying in the harmony of the forms", according to the words of a warned collector. 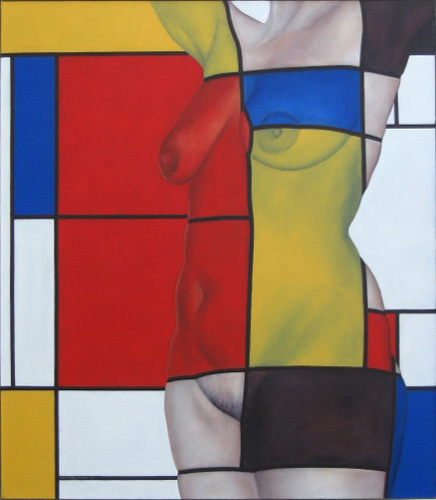 The curves of his models create a third dimension, a space, in the Mondrian paintings that are flat, without volume, before this addition. 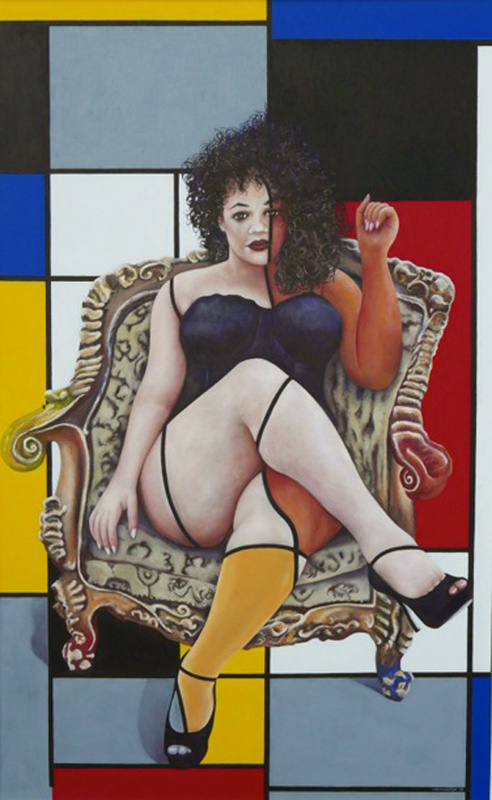 Furthermore, they suggest to the spectator an interpretation of the picture by putting human proportions in this "neoplastic" abstractionnisme early. Jos Verheugen lives in Paris since 1994, when at the beginning he pursues a scientific career. 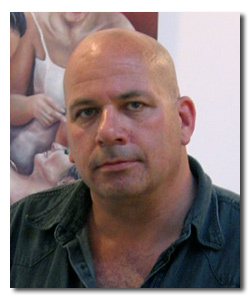 For four and a half years, he worked at the Institut Pasteur as a post-doctoral researcher in the field of electrophysiology. 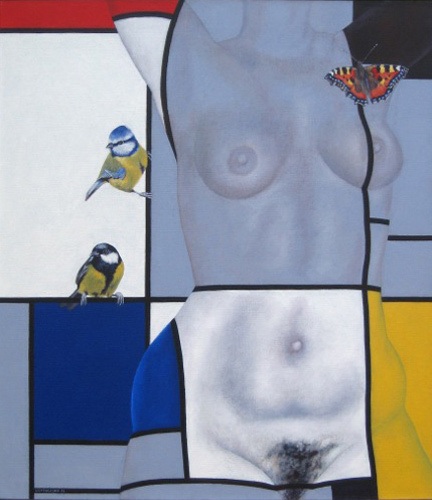 Painting, which became his main passion, saw itself pushed away in the evening and the weekends. Disappointed by the very political aspect of science, as well as by the meager prospects for the future, he finally decided to leave this little world for the big wide of an artistic life.